After a very successful closed beta phase, we are delighted to announce that Dizzlike Button and Profile is now available in open beta. The Dizzlike Button is currently only available for Firefox and Chrome. Just try it out and enjoy and feel free to give us your feedback on it! This is an app on facebook which works just as the other online games you play there but requires much less permissions to use. It does not change or add anything to your regular facebook page nor does it meant to replace it in some way. How come there is still no dislike button on Facebook? But don’t worry, the wait is over at last! 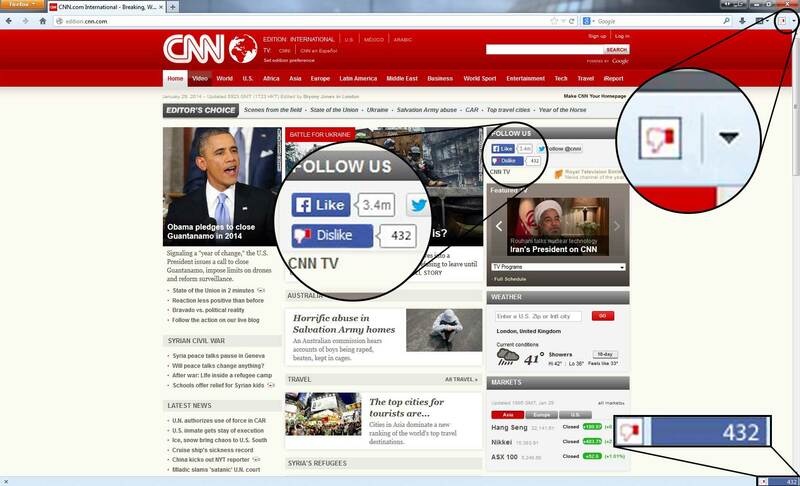 We’ve created the Dizzlike button for Facebook as well as for any other website. Now you can share your dislikes (e.g. your least favourite movie, the companies you boycott, news you dislike etc.) 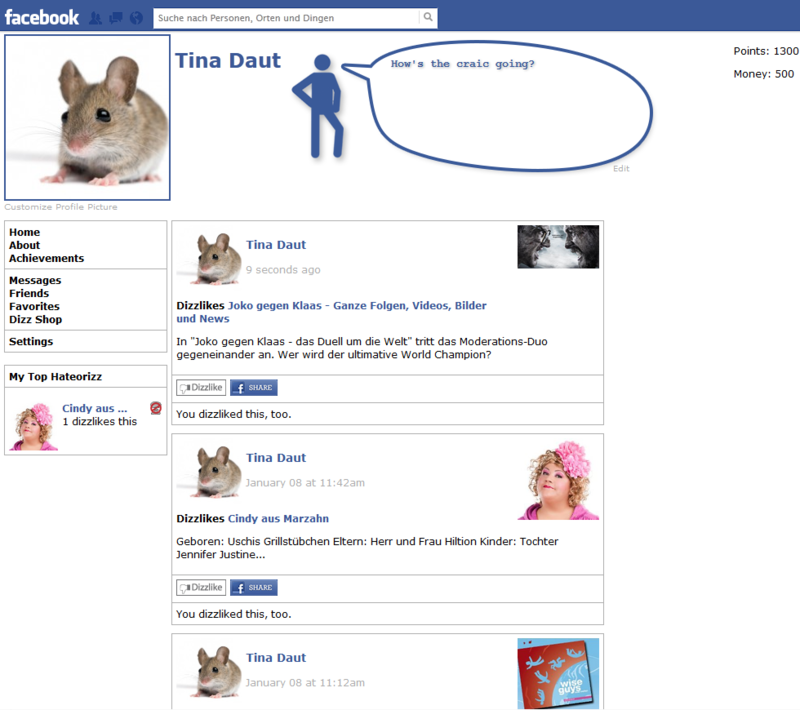 on Dizzlike Profile, which is integrated in Facebook. Don’t you think you could learn more about someone knowing what they do NOT like or aren’t interested in? The more people dislike a comment, the more it fades until it eventually disappears completely. If you like what we’re doing and want to help make this app even better, we would be grateful for donations of any sort (especially bitcoins:). Just get in touch and we will provide you with the necessary information. So please, spread the word, share our Facebook page and let everyone know that we have made the thumbs down and a lot more finally possible!